While creating a website design or a mobile app design, it is quite better when you have lots of already-made elements to choose from. It can save you a lot of time and make the design more professional. Visit our Free Web Elements category and choose the best ones exactly for your ideas. Use Photoshop to make all the changes and customizations you wish! 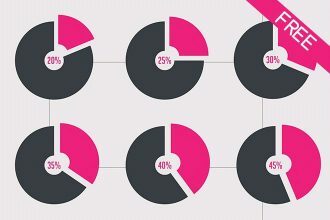 For being interesting, original and professional you can use this FREE Statistics IN PSD. If you download this template you can save a lot of time for creating design and finish the idea. This Free template is very qualitative! Do you have a goal to create a beautiful, modern and very professional website or mobile app? You are welcome to download our useful Freebie – Free Web UI Elements in PSD. This template is exclusive and it can help you to save your time while creating new design! 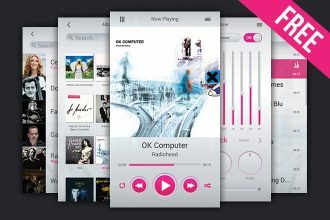 You are welcome to download our new Freebie – Free Player UI Kit in PSD for your business and entertainment! We hope this ready-made professional Free Kit can be useful for you or your client for becoming successful! 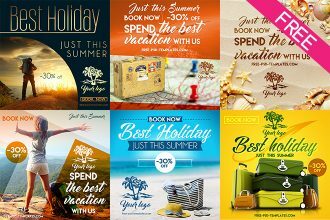 Our new freebie – FREE 10 Travel Banners IN PSD can be downloaded right now! Absolutely professional and very beautiful free templates will be great for companies and private designers to be original. You can use this templates to congratulate or award somebody. We hope you will appreciate our work! 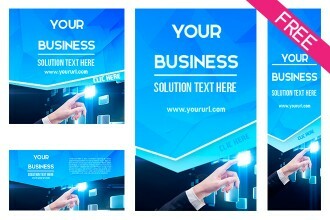 Download this amazing and very useful Free Multipurpose banners SET for advertisement. A lot of templates of different forms and sizes can help you to save your time and organize your promotion.